For the first time in almost two months, no ceasefire violations were recorded in the combat zone in eastern Ukraine yesterday. “March 14 was the first day since the ‘all-embracing ceasefire’ came into effect on March 5 at midnight when no ceasefire violations were recorded along the frontline,” reported Ukrainian Ministry of Defense spokesman on ATO Dmytro Hutsulyak at a press briefing at Ukraine Crisis Media Center. 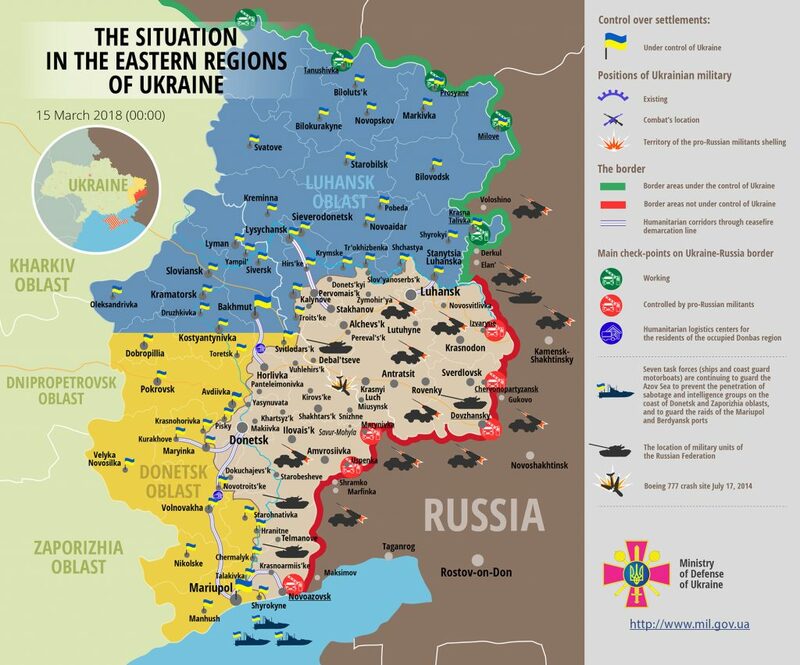 The ATO spokesperson reminded that Ukrainian troops have not responded to hostile attacks and returned fire since the moment the ceasefire came into effect.“Last time zero ceasefire violations were recorded almost two months ago – on January 23,” Colonel Hutsulyak added. Report on the military developments as of March 14 is available here. Interactive data on the shelling: chronology shelling chart and the interactive map.